Don’t have your iPad? Wifi not working? Don’t fret yet. You can still get most work/studying done! Oh no! Your school iPad isn’t charged and you can’t find the charger? Did you leave your iPad at grandmas house? The WiFi at home stopped working? No reason to worry yet. You might still be able to get that work done! 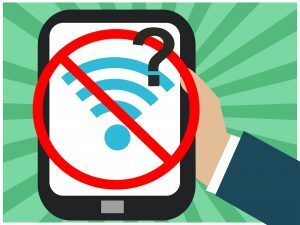 Below are strategies and tips when you have limited or no access to your school iPad and/or a WiFi connection. At the end is a chart that shares a breakdown of what apps work on different devices and/or a WiFi connection. The apps called Notability, Explain Everything, and Book Creator are more difficult to find alternatives for. Refer to the chart to get an idea of what will and will not work. These apps may have a fee associated to gain access as well. Don’t forget the internet access stops on school iPads between 11:00 pm and 6:00 am. Some apps on the iPad will still work without WiFi access. Notability, Explain Everything, Book Creator, iMovie, Garageband and Strip Designer are some of the apps that live and store content directly on the iPad. Note that you will not be able to upload or submit the work until you connect online again. Google based apps can work in the offline mode and any offline data/information will get updated in the cloud the next time the iPad connects. How about finding WiFi access locally for a solution? Check out your local library as they provide free WiFi access 24/7 (From WPL – “You may access our wifi network from anywhere throughout the building and outside on the benches and in the parking lot.). 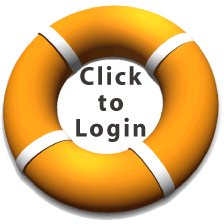 Here is the Wellesley Public Libraries computers/internet information link. Here is information about access to the Boston Public Library’s WiFi. Finding your local Starbucks, Caffè Nero, Panera, or any other cafè/restaurant that provides free WiFi can help too. In a pinch – WiFi internet access via a smartphone can also be used. Before using this review your cell phone carrier’s data plan as this can be an added cost in some plans or use up a lot of data. I hope you find this information helpful in finding ways to adapt and still complete work. Please don’t hesitate to email 1to1coordinator@wellesleyps.org or call 781-446-6210 x5439 with any questions. (iPad or iPhone) Wifi Needed?